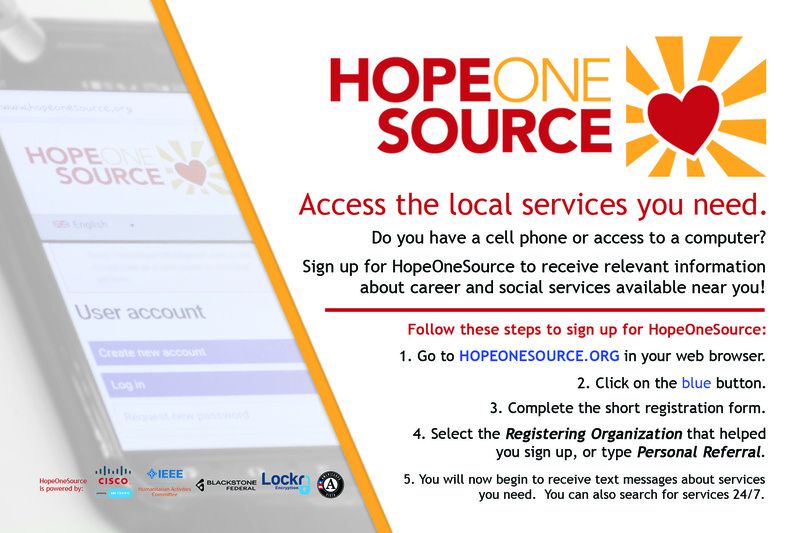 Welcome to HopeOneSource, your central location of information for nearby career, housing, and social services you need. In addition to receiving geolocated text messages, you can follow the link to see these opportunities from service providers and interact with them by clicking here. You can also see the closest services on a map. Note: You must login to fully access these links.